At the end of each opponent's turn, if this card's Problem was not confronted, gain 1 AT. "Filling the cauldron is no trouble. 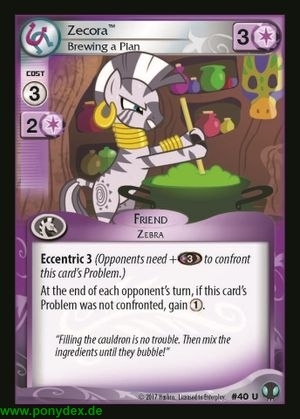 Then mix the ingredients until they bubble!"